What better way to get the true flavor of our exquisite hand-crafted caramel then bare naked? 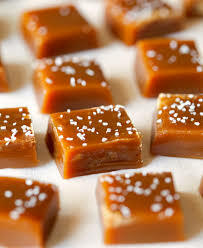 These hand cut caramels dusted in sea salt are exceptional! Each individually wrapped in a gift box.